Scientists at The Rockefeller University have identified a genetic mechanism that they claim could play a role in at least 10% of obesity cases. Their mouse studies, backed by human genetic data, provide new insights into transcriptional-level control of the hunger-controlling hormone leptin, and indicate that leptin therapy might lead to weight loss in at least some individuals with treatable forms of the disorder. Leptin is a hormone that is expressed exclusively by fat cells (adipocytes), and which is involved in controlling hunger and food intake. Leptin levels are normally regulated such that changes in expression of the leptin gene (Lep) are associated with quantitative changes to fat mass. Essentially, “quantitative changes in leptin concentration lead to alterations in food intake and body weight,” the authors explained. Lack of leptin has been linked with increased weight and obesity in humans and in animal models. In humans, rare mutations in the leptin gene can cause complete leptin deficiency and obesity, but such mutations only account for a few dozen cases of obesity, the authors suggested. Mice engineered to express only low levels of leptin exhibit increased food intake and body weight, while human patients who have mutations in one of their two copies of the leptin gene also show increased bodyweight. Interestingly, the team continued, “a substantial subset” of obese patients have relatively low circulating levels of leptin. Understanding how transcriptional control of leptin might be altered or dysfunctional could have clinical relevance because obese patients with low leptin levels due to abnormal control of leptin expression might still be sensitive to the hormone, and so could feasibly respond to leptin therapy by losing weight. Working with collaborating scientists in the United States, Switzerland, and Denmark, Dallner’s team identified “enhancer” sequences of DNA that acted to regulate leptin production in cultured adipocytes. “Surprisingly, we discovered that separate sequences upstream and downstream of the transcription start site (TSS) could independently confer fat-specific expression,” they wrote. Significantly, they also identified a long noncoding RNA (lncRNA) that was transcribed even further upstream of the leptin TSS, and the expression of which was “highly correlated with leptin mRNA levels in fed, fasted, and obese mice.” Subsequent studies identified a corresponding human lncOb that was expressed exclusively in human adipose tissue. Interestingly, the team’s subsequent analyses of a recent human genome-wide association study (GWAS), UK Biobank data, and additional human cohorts homed in on genetic variations in the human lncOb locus that were linked with higher body mass index, body fat percentage, fat-free mass, and the increased risk of extreme obesity in 46,000 individuals that identified a genetic locus associated with circulating leptin levels which overlapped with their identified human lncOb region. “Obesity associated with low leptin levels thus appears to represent a fundamentally distinct subset, and our results further suggest that patients with obesity and low leptin levels might similarly show weight loss after leptin treatment,” the team concluded. “This study thus provides the first experimental evidence that, as in diabetes, pathogenesis in obesity can differ and may be caused by either leptin resistance or reduced leptin expression. In addition, the results indicate that even individuals with increased leptin levels might respond to leptin treatment so long as their levels are inappropriately low for their fat mass (as was the case in the lncOb-knockout mice). Dallner has spent nigh on nine years working on the project, and maintains that the heterogeneity of the obese population—the fact that different people are obese for different reasons—is the most interesting observation to emerge from the research. “The important part for me is that we set out to study the leptin gene in mice, and we ended up concluding that different mechanisms can cause obesity in humans,” he said. 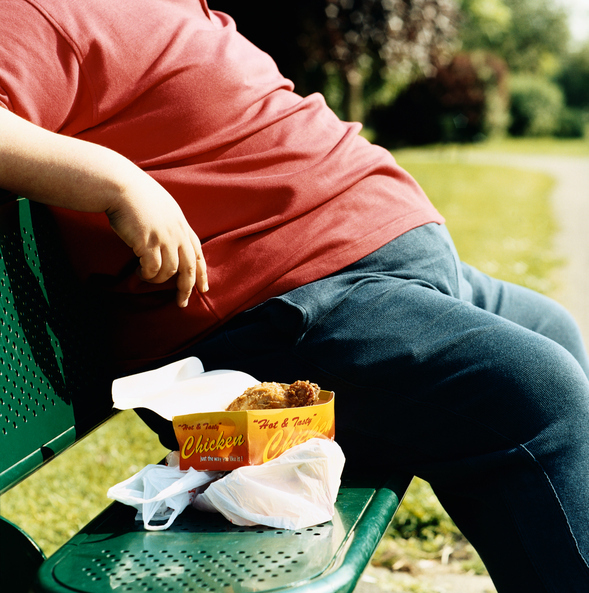 Most obese people become resistant to leptin because they have a lot of fat. Fat cells produce high amounts of leptin and, as the hormone accumulates, the brain appears to stop responding to it. In the reported animal studies the control DIO mice also didn’t lose weight when given leptin infusions. “ .. the finding that DIO mice lacking lncOb respond to leptin, whereas control DIO mice do not, provides clear evidence that obesity in control mice is associated with leptin resistance,” the authors wrote. “But there is a large subset of humans who are obese and still are relatively low in leptin,” Dallner further noted. “We now think that many of them may have these or similar gene variants that affect the expression of the leptin gene. This gives them less leptin from an early age, making them a little bit hungrier than everyone else.” There is evidence from early clinical trials that these people do remain sensitive to leptin, and lose weight when treated with the hormone. Until now, however, the underlying mechanisms weren’t understood.